In my previous post, I listed three atheist books that helped me to change the way I view the world. Just to recap, they were: 1) Prisoner for Blasphemy by G.W. 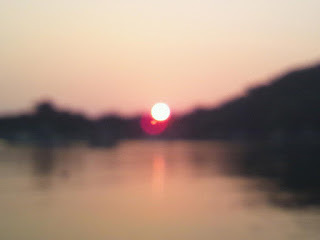 Foote, 2) Meditations by Marcus Aurelius, and 3) Demon Haunted World by Carl Sagan. As I was thinking of atheistic books and books written by atheists I wanted to share three more which I think everybody should read. While the first books which influenced my thinking dealt with mainly the philosophical aspects to religious belief, these next three deal more with the science behind human cognition and the nature of belief itself. Anthropologist David Eller's book Natural Atheism set the grounds for how all religion is inevitably the creation of mankind. 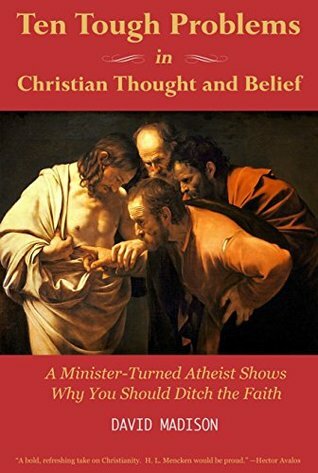 His case is more than convincing, but it that wasn't enough, his follow up to the first book, Atheism Advanced, actually advances the implications of secular philosophy, such as Humanism, and Eller takes and in depth look at how all religion inevitably has a humanistic threat weaving throughout, because unlike the teachings of religion which claim to be from the divine, Eller advances a theory which shows all religions have humanistic elements because they come from us humans. In Atheism Advanced Eller explains quite precisely why we must discredit religion with atheism (pull back the curtain in other words and reveal that God's are just mortal men creating mere phantasms to act as their voices in order to trick the human race into heeding their own selfish needs). Eller makes a convincing case that it's not just a matter of letting bygones be bygones, but rather, a means to an end. It's one of the reasons I get frustrated when religious people accuse atheists of attacking their precious faith--as if it were an injustice. Well, actually the opposite seems to be true. Such attacks are necessary if you care anything about getting to the truth of a matter, and much like pseudoscience, religious claims which are patently false actually work to retard society and cripple good critical thinking. Hence, debunking religion becomes a necessary form of justice. It doesn't mean we have to stop appreciating the religious myths, but only to realize that they are myths, and not confuse them for reality. Coined a cognitive anthropologist, Pascal Boyer goes one further than Eller than simply making the anthropological connections which reveal the origin of religion rooted in the imagination of mankind, Boyer actually shows it by providing an evolutionary explanation for the rise of religious belief and practice! Relying on anthropology, biology, psychology, and cutting edge neuroscience, Boyer's cross-disciplinary investigation into religion reveals exactly how the human mind fabricates myth, creates religious practices, and psychologically tricks itself into believing its own delusions as real. This book is a must read. It's the one book that shattered my last and final reservations that there could possibly be something more to religion--something transcendent. Nope. After reading this book my atheism was forever solidified. 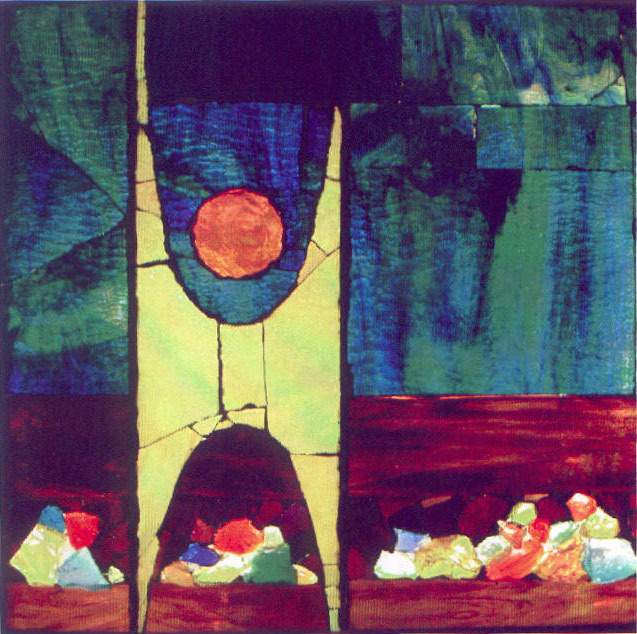 Boyer destroys any such notion that religious belief could be anything more than mere human fancy by showing how religious beliefs arise, evolve, and take hold and root themselves in human culture and society. If Boyer's account of how religious beliefs arise wasn't enough to convince you, Jesse Bering provides the icing on the cake. After reading Bering's book, The Belief Instinct, I was convinced that all three men, Eller, Boyer, and Bering weren't just theorizing about the origins of religious belief. 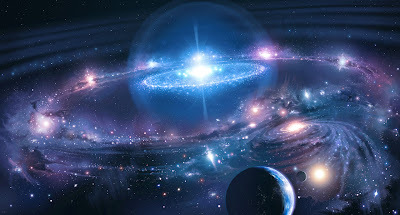 In actuality, they were making astute observations about the nature of religious belief and providing extremely detailed connections between human cognition and psychology which aptly explained the origins of religious belief. Bering demonstrates the foundations of religious thought are based on cognition that is much more ingrained within the workings of the human mind than any religious expression or faith based experience may hint at. Once Bering shows how the mind works, how belief are generated, and our limitations with regard to both, most all religious experience seems superficial if not entirely redundant. But Bering explains the technical aspects of cognitive science in a way that is both accessible and easy to read. In addition, his book is surprisingly funny. Something which made reading it seem all the more enjoyable. After reading all three books I came away with a deeper appreciation for religion. That might sound strange when you consider that these books use the tools of science to dismantle religion and show that it's a mere psychological byproduct of human imagination and experience. But I found that once I understood how the mind worked, at least well enough to see the connections that Eller, Boyer, and Bering suggest are very real cognitive functions of the human mind, religious belief made a lot more sense to me. The crazy religious beliefs as well as the beneficial beliefs worth saving suddenly made sense as they all neatly fit under an umbrella of scientific understanding. In turn, this helped me make sense of why religion is the way it is and why people believe the way they do. Once you understand these things a little more clearly, then the rest doesn't bother you as much as when you get frustrated because you couldn't possibly understand how so many people could be so deluded, delusional, and willing to live a lie! Well, as Paul Harvey used to say, now I know the rest of the story. 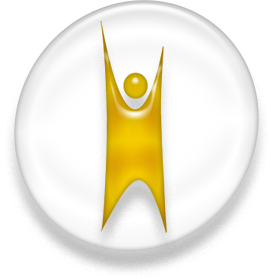 There are three excellent atheist works that helped me to see the world differently--and changed my worldviews so profoundly that the numerical value of the change could only be measured in sagans. These are the three books that helped to open my eyes and free my mind. The first is Prisoner for Blasphemy by George William Foote, who was put on trial for his publication of the magazine The Secularist (which goes out of its way to defend critical thinking and lampoon religion--much like the New Atheist movement of today) for the crime of blasphemy. Although G.W. Foote defended himself excellently against Justice North--a corrupt judge (who also was a stuck-up Catholic) sent Foote to a year labor in prison anyway. While in prison for a non-crime of offending a non-entity, G.W. Foote wrote his recollection of the trial, using his notes and various newspaper clippings to reconstruct the trial as accurately as possible, and talks about his experiences as an English gentleman behind bars, as well as the indignity of being punished for publishing his thoughts in a free country which supposedly had the "freedom of press." Foote's arguments against blasphemy (his defense at the trial) portray blasphemy as a truly non-offense and is so convincing, that the idea that there are places in the world, as of the 21st century, that still consider blasphemy a punishable crime or offense is downright laughably absurd in the highest and most extreme sense of the word ridiculous. But I suggest you read the book for yourself. You can download it for FREE for Kindle at Amazon.com. My second mind opening atheistic work is Meditations by the second century emperor of Rome, Marcus Aurelius. His meditations is largely a humanist work covering everything from politics to education to social etiquette. 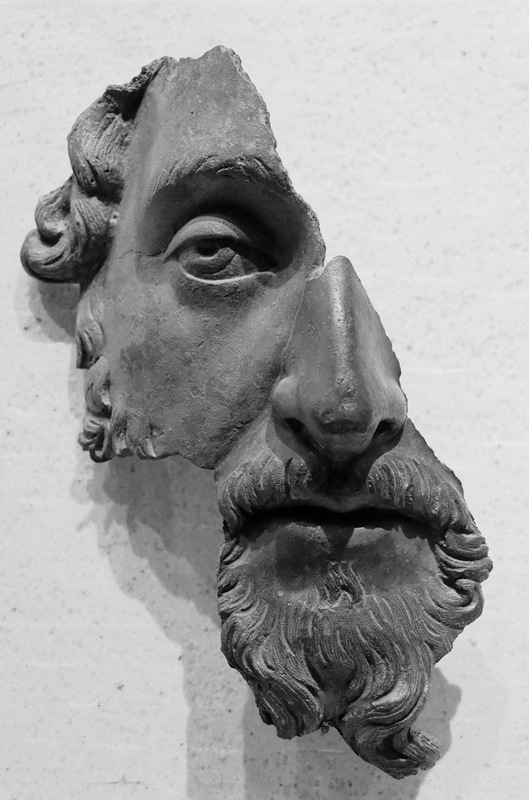 There is a treasure trove of secular wisdom contained in the insights of Marcus Aurelius and lots of interesting historical morsels to reflect on as well. One such historical observation I made was his extreme compassion in his attempt to provide legal protection the rights of second century Christians to practice their faith as they wanted as long as they do not disturb any of their neighbors and abide by the laws. His was the first democratic view of freedom of religion and truly reflect the genius of Aurelius. Carl Sagan's Demon Haunted World is a profound work from another atheist with a humanism so rich and deep that even Mother Teresa pales in comparison. 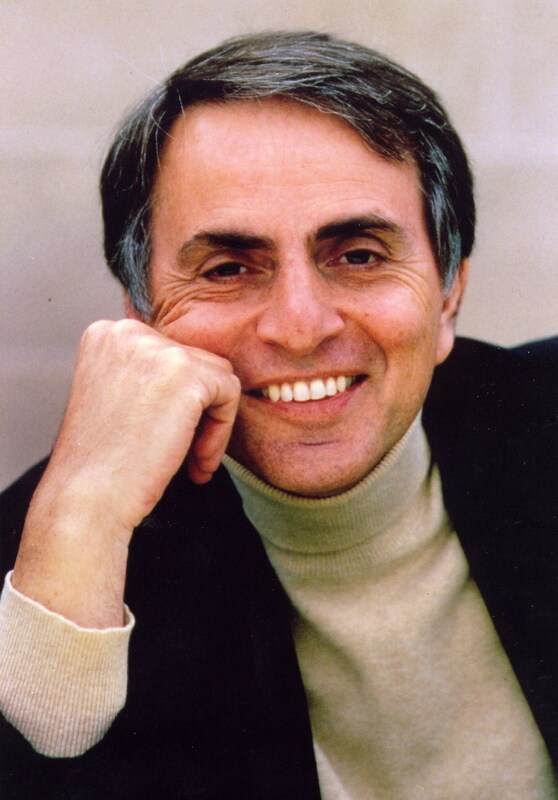 While Teresa dedicated her life to teaching poverty stricken children to read, indeed a noble act, Sagan spent his life teaching people of all walks of life the importance of science--and how it could aid us in unraveling the truth about the nature of the universe and our place in it. No small feat, that's for sure. But Sagan pulled it off with grace and style. Suppose … I seriously make such an assertion to you. Surely you’d want to check it out, see for yourself…. Now, what’s the difference between an invisible, incorporeal, floating dragon who spits heatless fire and no dragon at all? If there’s no way to disprove my contention, no conceivable experiment that would count against it, what does it mean to say that my dragon exists? Your inability to invalidate my hypothesis is not at all the same thing as proving it is true. Claims that cannot be tested, assertions immune to disproof are veridically worthless, whatever value they may have in inspiring us or in exciting our sense of wonder. What I’m asking you do comes down to believing, in the absence of evidence, on my say-so. The only thing you've really learned from my insistence that there’s a dragon in my garage is that something funny is going on inside my head. You’d wonder, if no physical tests apply, what convinced me. The possibility that it was a dream or a hallucination would certainly enter your mind. But then why am I taking it so seriously? Maybe I need help. At the least, maybe I've seriously underestimated human fallibility…. Gratifyingly, some dragon-size footprints in the flour are now reported. But they’re never made when a skeptic is looking. An alternative explanation presents itself: On close examination it seems clear that the footprints could have been faked. Another dragon enthusiast shows up with a burnt finger and attributes it to a rare physical manifestation of the dragon’s fiery breath. But again, other possibilities exist. We understand that there are other ways to burn fingers besides the breath of invisible dragons. Such “evidence”—no matter how important the dragon advocates consider it—is far from compelling. Once again, the only sensible approach is tentatively to reject the dragon hypothesis, to be open to future data, and to wonder what the cause might be that so many apparently sane and sober people share the same strange delusion. —Carl Sagan, The Demon-Haunted World (Ballantine Books: 1995), pp. 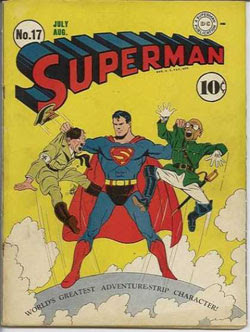 171-173. These three books made a big impact on me. They may not be the greatest philosophical works ever written, but the men who wrote them, their words, as well as their ideas resonated with me in a way not many other works have. If you want to get into the mind of a skeptic or an atheist, if you want to know how we could be good and compassionate people and still not believe in God, if you want to know what humanism looks like from the inside--all you have to do is read each of these men's works. Quick Update! Hello, Goodbye, and Thanks for all the fish! This year I've tried to quit Advocatus Atheist not once, not twice, but three times! About a month ago I was convinced I'd retire the blog and move on to other things. I'm a writer, and Advocatus Atheists let me share my writing and my voice with the outside world. A lot of what I write is cathartic and so I realized that after three failed attempts, I wasn't likely going to just quit cold turkey. As such, my regular readers, and the 2,000 some odd weekly passers by, will be happy to know that I'm not going to retire my Advocatus Atheist blog. But I will be phasing myself out. 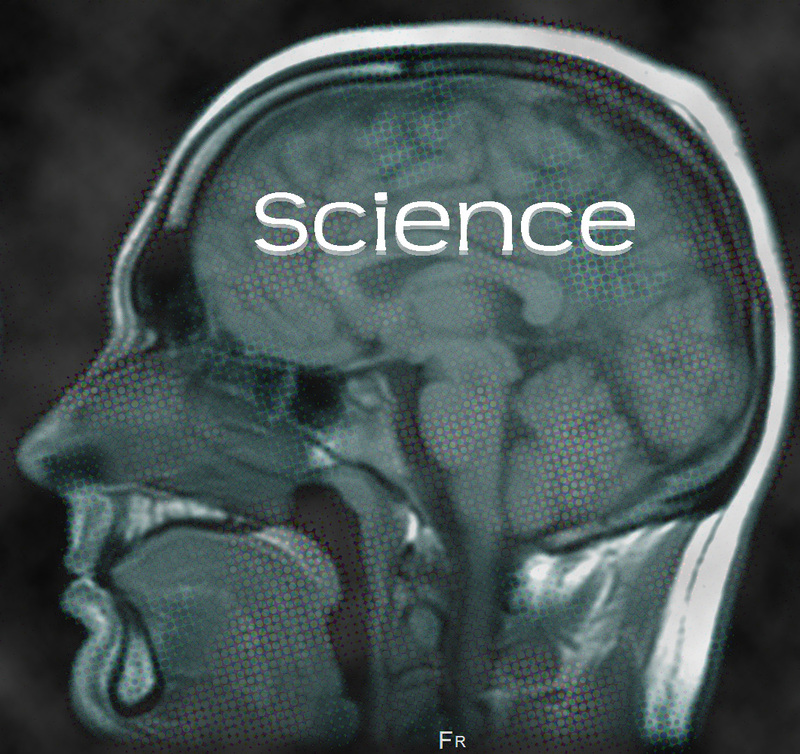 Well, I've started a new blog called SCIEDEOLOGICAL, which covers the topics of Science, Ideology, and Logic (hence Sciedeological); including technology, education, humanism, and everything in between. As I work on generating quality content for that blog I'll be less involved here at Advocatus Atheist. That doesn't mean I will be disappearing forever, just that my presence will be neither here nor there. Kind of a quantum thing. As a favor, I ask all my subscribers to head over to my new blog and subscribe. How is SCIEDEOLOGICAL going to be different? Well, it focuses on the things I have an interest in instead of being about the things which annoy me. It will still have philosophy, science, and cultural conversations, but it will be less aimed at nitpicking about religion. I have Advocatus Atheist for that. But all this is just to say, don't expect a steady stream of articles or essays. Both blogs take up my professional writing time, and as I have three novels to complete in the next year and a half, I will be writing less on my blogs. 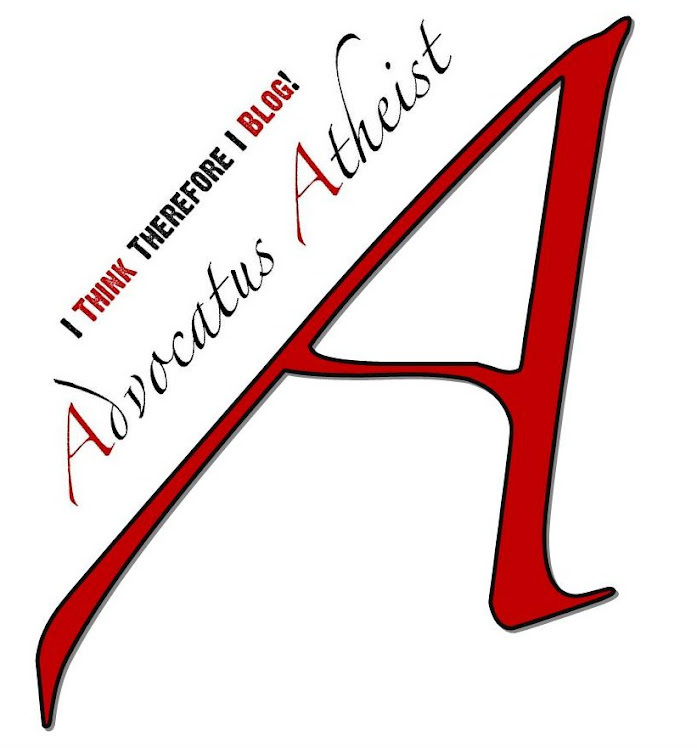 That said, let's just be glad that Advocatus Atheist, a minor blog sensation, is sticking around for the long haul. My wife's grandfather Miyamoto Kazue died this past weekend. It was the third stroke that did him in, and he was ill from a bout of cancer as well. I didn't know him extremely well, even though I have visited his house every New Years and Obon (the death holiday here in Japan) for the past five years. 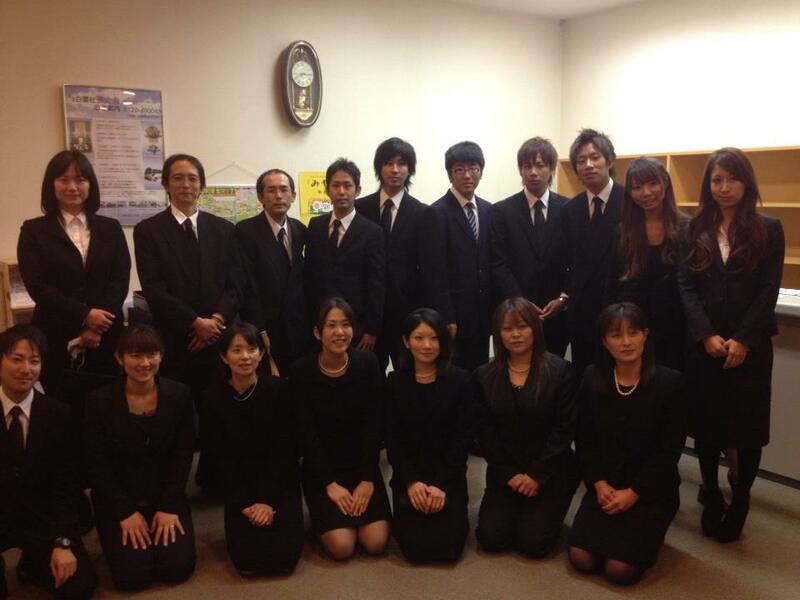 As you might have guessed, the Miyamoto side of my wife's family is her father's side. The family is unique here in Japan in that it is so large. My father-in-law has 10 siblings. The Japanese average is about 1 and 1/2 siblings per household. You can tell he was part of the baby-boom era of Japan's post-war economic revival heyday. I think the most unique thing to mention about the Miyamoto family is that they are not Buddhist like most Japanese families I know. Rather, they actively practice Shintoism. It is through their eyes that I am able to glimpse what Shintoism is and how it is practiced. My six years of periodic visits have given me some fascinating multicultural insights into one of Japan's most ancient and mysterious religions. This was my first time to ever attend a Shinto funeral. Lots of Shinto priests. Lots of vegetables and flowers too. My father-in-law Kazutaka joked that it was a "flower-festival." They had at least $2,000 worth of flowers. A lot of which got cremated with my wife's grandfather. There were so many flowers the casket lid could barely close! So your flowers can join you in your cremation. It is a nice sentiment. It sort of completes the cycle. Something about being a part of nature and having nature be a part of you, going full circle, life to death, from ashes to ashes and dust to dust and all that. At least I felt it was symbolic of that. The vegetables were there as homage to the various deities in Shintoism--which is largely an animistic-pantheism in that everything has a spirit and even vegetables, and there are hierarchies of deities for these as well--and if you pay tribute to them in the here and now they will provide for you in the afterlife. Four years ago I attended my wife's mother's father's funeral (Sayaka's other grandpa). Interestingly enough, I wore his old suit to this recent funeral, since I was in need of a new suit and my mother-in-law fished out her dad's old suit for me, considering we're the same height and build, and it fit like a... well... new suit. So I wore the suit of the previous grandfather to the most recent grandfather's funeral. Strange. But somehow fitting. All in all, I rather like funerals. They are a lot like weddings, where family and friends come together to embrace the life of a loved one. Unlike weddings however, the loved one cannot attend, for obvious reasons, and everyone wears black. This funeral was rather memorable. At least, I thought so. There were so many cousins and grandchildren, and great grandchildren in attendance. Among whom my daughter was a real crowd pleaser and a show stopper. The laughter of children going up and down the aisles as adults hushed them to try and bring their youthful glee to a gloomier realm of reality just didn't have any effect. I say good. Let the kids remain kids as long as possible. In the end, there was food, laughter, tears, shared memories, new memories made, and... well... life goes on. We live on with the legacy our grandfathers left behind, in the form of their life's successes as well as failures. But they live on in us, their sons and daughters, their children and great grandchildren. When looking down into the casket at the unmoving, lifeless, body of her great grandfather, my daughter asked me where did Hi-ji-chan go (Japanese for great grandfather)? Pretty smart for a 2 and11 month year old, if you ask me, to be able to perceive the mind body split. She recognized that something wasn't quite right, that he wasn't breathing like he was at the hospital earlier that week, and in just these past few weeks we had discovered a dead bird in our driveway at home and a dead mouse by the park. Both of which captivated Solara's imagination as she kept asking about them. "Where did they go?" she'd ask. She recognizes death means you go away--even though your body remains. But where do you go? Where do any of us go? I simply replied, "I don't know where we go, hon. 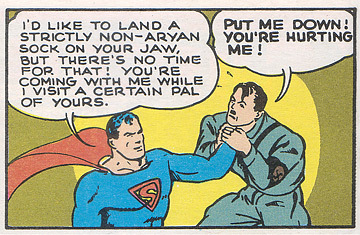 But great grandpa lives inside of you. Inside of mommy. In your hearts, and your DNA, and as long as you carry that part of him inside of you--that's where he lives on. And that's where I think we go when we die." She smiled at me, and then asked me if the dead bird and mouse are inside of us too. I tried to explain how they are different. They are animals. "Well, where do they go?" she asked. "I don't know," I said. "It's just one of those things... I just don't know." Surprisingly, she seemed satisfied with that answer. But I couldn't lie to her. I wasn't going to promise she'd see her great grandfather in heaven again someday, or that she would see that little bird and cute mouse again. I can't know any of that ... not for sure. None of us can. Solara asked why Hi-ji-chan had to be burned. I told her, because it's our tradition (I was secretly thinking of saying, "Because it's the only way he'd fit in there" but decided against it. Nobody ever gets black humor, and it probably is not appropriate for funerals. Weddings on the other hand...). I was proud of the bold curiosity of my daughter. She wanted to see the ash and bones, some of them still glowing orange from the heat, close up. So we took our turn and put some of the fragments of great grandfather into the urn together. I don't know. The promise of an afterlife seems entirely artificial to me. Manufactured for your benefit. It's morbidly selfish. For me personally, it seems like it diminishes the meaning of this life. If you're just going to live forever and ever anyway, what value is this life? This life is only becomes valuable when you realize how priceless it is, because there's just one! No second chances. No do overs. No respawning. Once you're gone, you're gone. Dead. Done. Pushing up daisies. Besides, why bother to suffer this life if it's all going to be heavenly bliss in the next? As for the concept of hell, the polar opposite of heaven, I find the notion offensively absurd. For those who suffered horrible lives in this life, simple death would be enough of a relief. But to claim they will be punished forever for, get this, not agreeing with you on some myopic religious point of view, seems, not just inhumane, but outright laughable. And that's putting it mildly. Heaven is just the mirror reflection of this exact same absurdity. Well, that's how I feel about it anyway. So what becomes us after we die? Well, I imagine it will be a lot like how I was before I was ever born. Just simple, pleasant, non-existence. No worries. Just a listless, dreamless, eternal slumber. Meanwhile, my body will be turned to ash, and after a few hundred thousand years or so, given the right conditions, my carbon might be compressed into a diamond, which will get made into a wedding ring for some new couple excited to embark upon the journey of living their one life together. I don't know, it just seems to me that a truth, no matter how quaint and small, is always more significant than a lie, no matter how sweet and beautiful. Truths about the world matter to us because truths inform us. They act as a map to guide us through the difficulties of life. Lies, well, they're all but smoke screens which make it harder to get to the truths. To live by a lie, even if it is comforting, is the same as living a lie. It collapses into either delusion or denial, and neither one is all that beneficial. You can't find out the truth of things when you're in denial about the world, and you can't learn anything from a delusion. I would rather teach my daughter the horrible truth about reality--so she can be equipped to deal with reality--than to lie to her and give her false hope. Some people think the truth will be damaging. I don't get this point of view. Lies are what I find damaging. Give it ten seconds thought and I think you'll probably agree. If we build up too many lies we risk the chance of them shattering around us like shards of sharp glass the day we find out the piercing truth of some matter. 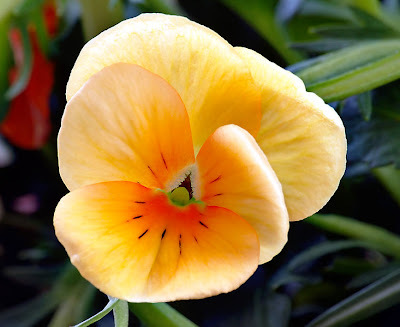 Those who think the truth will hurt too much, or that we can soften the truth with half-truths, are those who have simply grown accustomed to the lies they already live. But these lies, they're dodges at best. Ways to get around having to face reality squarely. Ultimately, all these assumptions about the afterlife, about heaven, are fanciful lies we tell to delay our confrontation with the inevitable revelation which we must, all of us, come to terms with. One day we will be gone. It's only what we leave behind, our own legacy, that matters. Well, that sums up my thoughts on the matter of funerals and death. Over the past week I've had a lot to think about. Live well and be wise, my friends. Peace! I've written quite a bit on Ignosticism (also here, here, and here) and Theological Noncognitivism. Personally, I think they provide the strongest philosophical arguments against God ever devised. 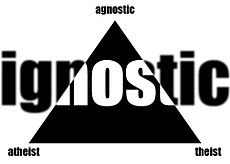 Coupled with philosophical ideas like Theological Noncognitivism, evidentialism, and justification, Ignosticism becomes a toure de force argument which not only validates the nontheist worldview but simultaneously dismantles theism in most of its forms. That said, it is not without controversy. In fact, I realized that justification of evidence alone isn't the only thing required here, but also justification of terms. What I argue for here is a type of justification of terms being offered before we can say whether such terms are meaningful or not. In other words, before Ignosticism can dismiss the vocabulary of the theist, we have some proving to do first. Justification Incorporated into IgnosticismWhat is Referential Justification? Well, it's my theory that Ignosticism carries with it the necessary condition of justifying the terms and definitions of words before simply claiming the words have no meaning. In other words, it seeks to justify the meaning of a term by linking the term to the term's referent that it is presumably derived from (hence referential). Granted, not all terms have a referent that exists in the real world. So this realization splits the definitions of terms into two categories: A) terms which have referents (real link) and B) terms which do not (conceptual link). One might ask, what does the real and conceptual links imply between words and their referents? Allow me to explain. Words can be used to describe either things that exist, such as rocks, or ideas and concepts, such as the area of theoretical physics called string theory. When a theoretical physicist uses the descriptor string theory to explain the area of focus they are investigating, we know they are talking about mathematical concepts only, because there is no evidential support for anything in string theory. We cannot study any of the features of string theory except conceptually. Everything within string theory only exists as mathematics and word associations which allow us to make inferences between these mathematical models and other models we find in reality. But to talk about a "string" in string theory is to talk about a concept. What's more, it is to talk about a concept that is without a referent. All we have are the word associations that help us build up the concept by analogy. This is a lot like the God concept as we know it. We have no actual tangible object, no evidence, to warrant a referential justification relating the term God to anything in the real world (i.e. existence). Just like those mysterious strings which elude String theorists, hiding themselves from reality, God so too eludes reality. Thus, the term "God" is confined to the conceptual realm of ideas (not things which exist). Craig Lee Duckett, an advocate for Ignosticism, states it another way. Without pointing to words, without relying on word associations, what can you tell me about God? If you can't tell me anything without referring back to word associations, then the word associations themselves—omnipotent, omniscient, omnipresent, and omnibenevolent—are meaningless since they also or composed of associations that cannot be proven and are nowhere in evidence. Therefore, in order to talk about God as a real being, as something with exists, then the burden is on the theist to show the real link between the terms they are using and their referent, just as with the rock analogy we saw earlier. The reason this Referential justification this becomes necessary is because of the problem which arises when one talks about a term which only has a conceptual link as if it were real. Without proving the real link, all they have done is provide a meaningless description by calling something imaginary real. This is a semantic confusion. Theists deliberately employ semantic confusion all of the time. They do this in order to get a stronghold on the language as to better manipulate the course of the conversation. Sometimes they are unaware that they are doing it, since semantic confusion is so built into the way religious discourse works. A good example of this can be found in the debate between the British philosopher Stephen Law's debate with William Lane Craig. In the debate, Craig didn't want to give an inch in how he defines God. He kept reiterating irrelevant terms, such as God being timeless, omnipotent, etc. Never was there any attempt by Craig to justify the terms he was using and thereby validate his claims about God. Craig's failure to provide any referential support for God means, strictly speaking, that God is by definition a conceptual term, not something which exists. Ironically enough, one of Craig's claims was that God really exists. Okay then, validate that claim by showing us a real link between your definition of God and its real world referent! Surely, if I can show you a rock, which really exists, then I have established the real link between the term and its referent in the real world. All the theist has to do is the same. Provide a real world referent for your term, and then we can move beyond theoretical discussions involving far-fetched concepts. Needless to say, however, lacking a valid Referential justification means the theist will either have to admit they are merely talking about a concept, or else, they will retreat to a proved apologetic defense, semantic confusion, and incorrectly call the God concept "real." There is an excellent review of the Craig vs. Law debate which captures this tension surrounding semantic confusion and shows you exactly what I am talking about. In the end, what Craig does, and what many theists do, amounts to is a denial of competing definitions and terms for the same concept--even when they are logically consistent with the very way the theist defines God! So it would seem semantics is an area of confusion for both sides, but it seems the theist would be the one to gain by trying to keep God confined to a semantic purgatory, a gray zone in which God can be defined any which way the theist sees fit, but at the same time, allowing the theist to deny any definition of God which doesn't fit their every changing scale of what the term means or could mean. I hope you see why this is a huge problem. The hidden power of Referential justification theory then, is that it deals with both the logical as well as lexical aspects of any given definition, and seeks to understand the terms in a way which provides truth definitions to the language itself, thereby asking us to consider whether or not a substantive theory of meaning can be established with regard to the word associations being used. Regardless of how a definition, term, or word is defined, a higher order of justification is always required to establish a substantive theory of meaning, otherwise we could not claim to be talking about anything with meaning, which would mean our definitions would fail us and we'd be stuck in a permanent state of semantic confusion. Referential justification seeks to avoid this semantic confusion by establishing three things: 1) it seeks to show an real link exists over a conceptual--or else provides the opposite--by showing there is no real link at all, but merely a conceptual link; 2) it seeks to define the logical and lexical meanings and investigates their limits; 3) and finally it establishes the truth condition of the terms beings used (since to know this condition is equivalent to knowing the meaning of the term). Subsequently, this does away with the constant semantic confusion which is employed by the theist to constantly shift the goal posts back and redefine there sets of terms anytime the opponent's argument brings them into contention. Referential justification is a powerful tool of justification which helps us pinpoint any semantic confusion, and then gives us a means to bring clarity to the terms and word associations by disavowing any terms or word associations which are semantically confused. 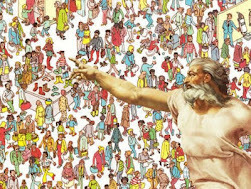 Once we can show that the term "God" is a term without any relevant meaning, because it is semantically confused, then we can dismiss the term as meaningless, irrelevant, or impotent (depending on the context). Theists may not like this outcome, and they may try to make our involvement with semantics into a pejorative, by blaming their term's limitations and inadequacies on our "semantic word play," but the best response I have to this is simply to remind them that if they ignore one of the main branches of semiotics, the one dealing with word associations and the relationships between a word in its meaning, then how do they expect us to take them serious when all they have offered are word associations and terms with unclear meanings? In the end, Referential justification is the part of Ignosticism which makes it such a powerful philosophical objection to God (and all god concepts). I am sorry if you were hoping I'd be writing a rare political essay. I just am not that interested in politics, but the history and sociological aspects do fascinate me. As such, this is more of a sociological speculation about one aspect of American political history. The most recent thing to catch my attention is an image floating around on the web that shows a comparison of the 2012 Presidential election results with the 1846 map of U.S. states that supported slavery. 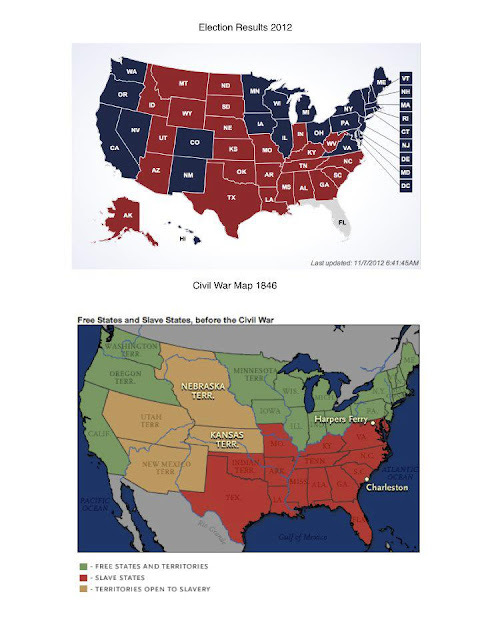 The states that voted Republican/conservative in the 2012 Presidential election are nearly identical to all the states that supported slavery. Meanwhile, all the states that voted Democrat/liberal are all the progressive states that mirror those states which abolished slavery. Now there are many political economic, and sociological factors that play into this, but the question I have, is how much of a coincidence is it really? I would be tempted to say this is an odd coincidence if it were a coincidence. However, I don't think it is a coincidence. Following Jared Diamond's biogeographical/border theory, and Taking a Guns, Germs, and Steel approach, I would say it's not that much of a coincidence at all. All the blue states and free states are basically bordering the ocean and/or foreign cities/countries. This means two things: trade and cultural exchange. Trade and cultural exchange means there is a steady flow of ideas, different ways of thinking, different cultural norms, and the need for foreign relations and diplomacy when dealing with other cultures. In other words there very location demands they be more open minded. Constant trade equates to a strong economy and more wealth. If they were not open minded, then trade would grow difficult, perhaps even cease, all the importation of new ideas would halt, and their contact with other cultures and ways of thinking would be greatly diminished. Being constantly bombarded by new ideas, however, is one way in which we gain knowledge. It also helps us gain perspective as it allows us new ways in which to question our own preconceived notions. So it's no surprise that these areas lean toward the liberal side of the political spectrum. Liberals are generally more cultured, and studies have shown liberals are traditionally better educated too, and I suspect this might be one of the major factors as to why. Another thing to realize is, although the southern states border Mexico, which is a foreign country, historically speaking there has been an artificial barrier preventing fluid cultural exchange. This is what Jared Diamond calls a history of division by borders. He points to a similar situation that occurred along the border of Haiti and the Dominican Republic. One side flourished, due to various biogeographical circumstances as well as a steady stream of historical events, and the other side turned into a virtual wasteland. Diamond's hypothesis is mirrored by what has been happening along the Mexican/American boarder ever since we got California back from Mexico in 1847. The diffusion of culture, as well as ideas and new knowledge, impacts these border towns and port towns more freely--except where the border is too well built up. It takes time for these ideas to permeate further in-land, especially when population density thins. Additionally, if you have a large insurmountable wall built up along your borders (or borders so vast that no wall is necessary) which is intended for keeping others out, this will be a point of tension, as well as frequent friction, and will likely halt the influx of different people, cultural worldviews, and ideas. Thus the liberal mindset will shift toward a more conservative one. Blue becomes red under specific conditions just as red will become blue under other conditions. This explains why all up and down the U.S. coast we tend to find blue. We find blue in the populated areas of our country which border the populated areas of Canada. A country with whom our borders are lax and our policies friendly. Trade can carry on relatively unhindered and there is nothing causing friction and nothing preventing those ideas and cultures from intermingling. Mexico, on the other hand, faces rigid borders and rather unfriendly policies with regard to immigration. As such, this helps explain why these regions lack multiculturalism of the more open styled borders between nations. Additionally, as I hinted at above, large land masses like that stretching across Idaho, Montana, North Dakota, which have small populations with even smaller population densities, and don't border any major Canadian cities, tend to be landlocked. The border is natural instead of man-made, but the effect is the same. Less culture, alternative ideas, and different forms of knowledge make its way into these landlocked regions. Multiculturalism fades, and again the shift from blue to red, liberal to conservative, can be seen. At any rate, I thought this image was fascinating, and felt like writing down my thoughts while they came to me. What I propose isn't in anyway certain, but it seems highly likely, given the circumstances. Feel free to let me know what you think in the comments section down below.